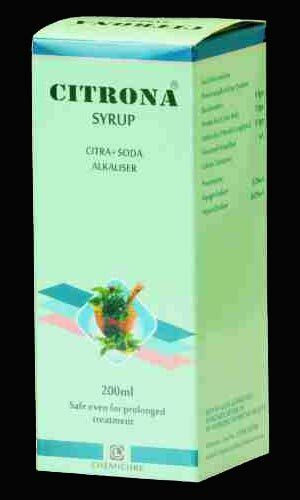 The Citra and Soda Alkalizer formulation of the Urine Alkalizer Syrup has been an effective remedy against Anti Urinary Tract Infections. The Urine Alkalizer Syrup is a combination of Shewetasjika Kshar and Nimbu Sat, which makes a potent alkalizer and is internally used to make urine alkaline. The Urine Alkalizer Syrups mitigate burning sensation during urination. Dosage : 2-3 teaspoonful, mixed in half glass of water and taken three times a day or as directed by the physician.